Biying Yu, Junjie Zhang, Yi-Ming Wei (2019). 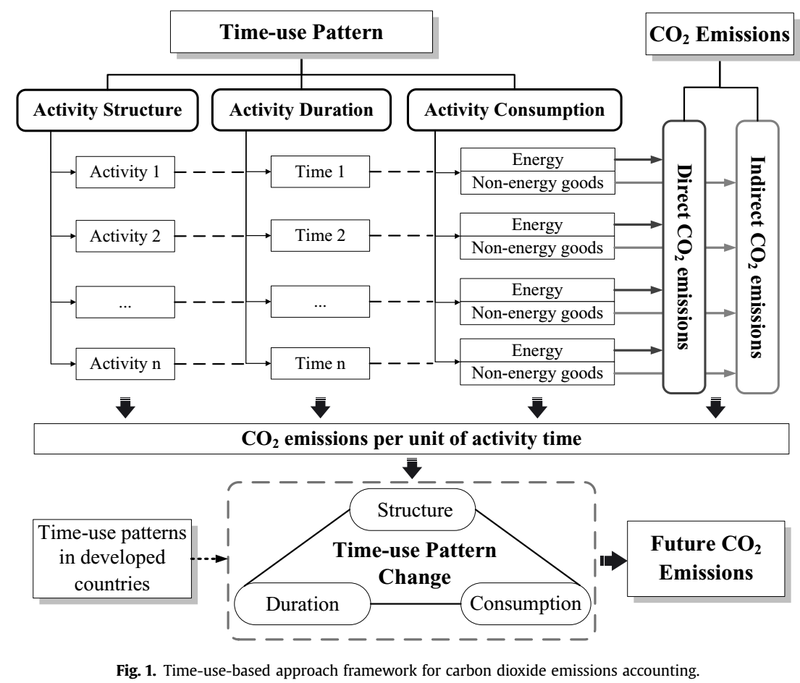 Time use and carbon dioxide emissions accounting: An empirical analysis from China. Journal of Cleaner Production 215, 582-599. • A time-use based approach to carbon emissions accounting is proposed. • Impact of change in non-work time on carbon emissions are investigated. • Carbon intensities of various time-use activities are estimated for 7 countries. • Daily carbon emissions per capita are evaluated with changes in time-use patterns. • Suitable time-use pattern for achieving a low-carbon society in China is explored.